White Walls. White Floors. White Ceilings. An institution, you say? Of course not. 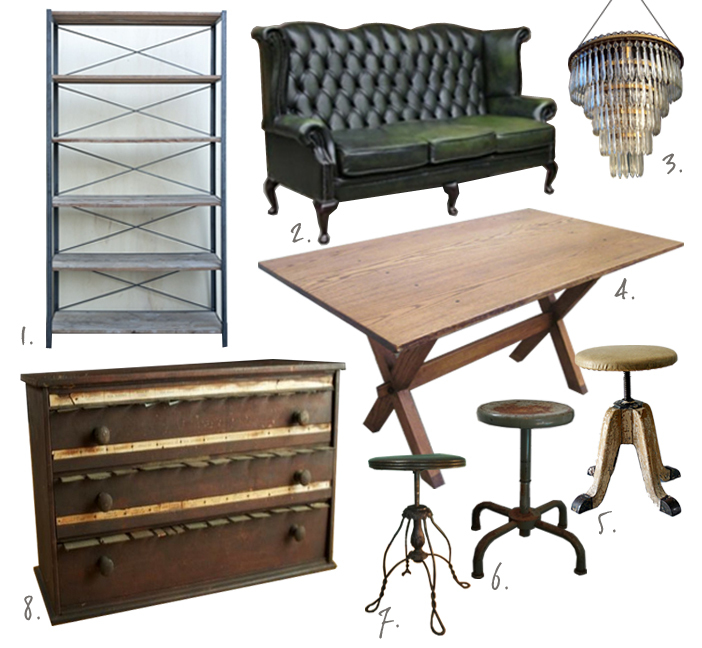 As trends move away from china cabinets, chippendale chairs, and a table for twelve, we begin to look for dining furniture that blends into our living spaces. As innovative as the invention of the t.v. tray was, I have a strong belief in the separation of spaghetti and How I Met Your Mother. Keeping the room light and airy creates the illusion of a large space but will also allow you to create cozy areas using furniture and accessories to visually divide it up. 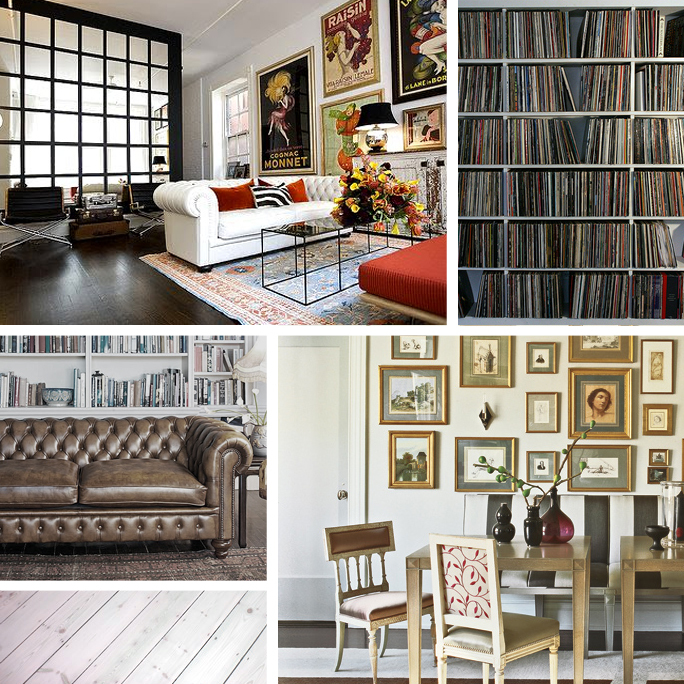 Who doesn’t love the idea of a library/dining nook? Lucky enough to have a record collection? Even better. Not ready to commit to refinishing your old wood floors, try whitewashing! The banquette is a no-brainer. Raise your hand if you don’t secretly wish your friend will grab the chair when you sit down for a long dinner together. I thought so. If your kitchen opens into your living/dining area, here are some great ideas for millwork, artwork, and storage solutions. I love the idea of open cabinetry, but I should really brush up on my organizational skills. 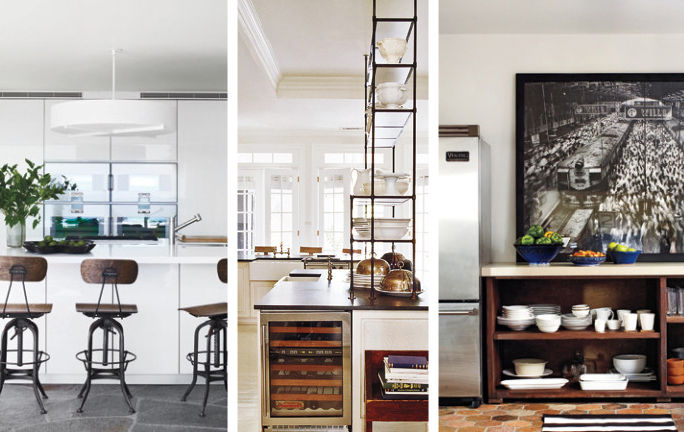 Adjoining kitchen concepts all courtesy of Elle Decor. 2. I fell in love with this vintage green leather sofa – perfect banquette – from England on Ebay. Unfortunately, the international shipping makes this more of a splurge-worthy item, but in my opinion, so worth it. $812 before shipping. 3. This is a great deal on a tiered, vintage chandelier (plastic crystal, shh) from Ebay. These are best found in small local antique/resale stores or estate sales. $309.50 No j-box for a light fixture? Try this option from the MoMA Store. Use your own vintage family pictures. 4. To make a banquette with arms a bit easier to maneuver, a trestle farm table is best. This Amish antique is a great example of the style to keep an eye out for. This listing also has an option to “Make an Offer.” It never hurts to try to get a $450 table for $300. $3211.50 – the cost of a dining table and single chair from Restoration Hardware. This entry was posted in Room Designs by MSF. Bookmark the permalink.